It's opening day at Griller Stadium, where you're in charge of Papa Louie's famous hot dog stand! 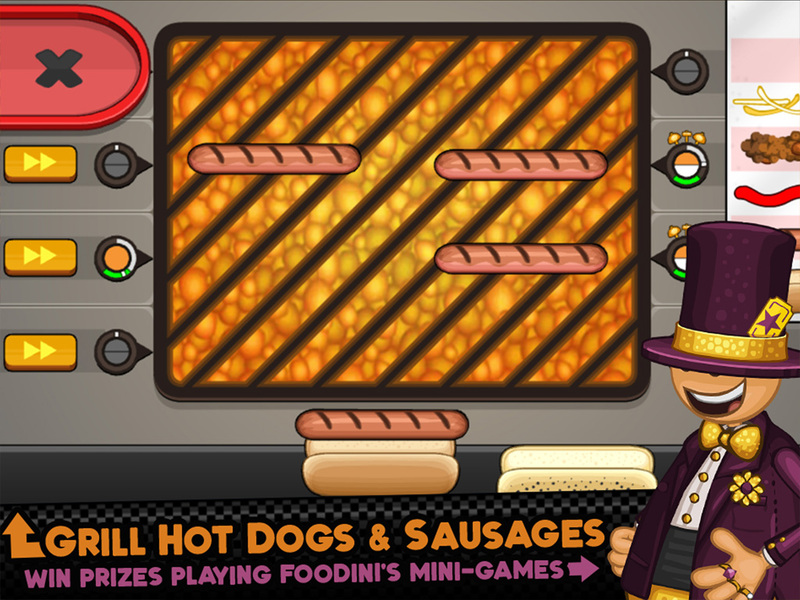 In Papa's Hot Doggeria HD you'll need to grill up juicy hot dogs, top them with a variety of seasonal condiments, and serve them to all of the rowdy fans. You'll also have your hands full popping up fresh popcorn and pouring refreshing drinks for your hungry customers. Each station in the restaurant is a hands-on process, and you'll have to multitask to keep up with your orders. 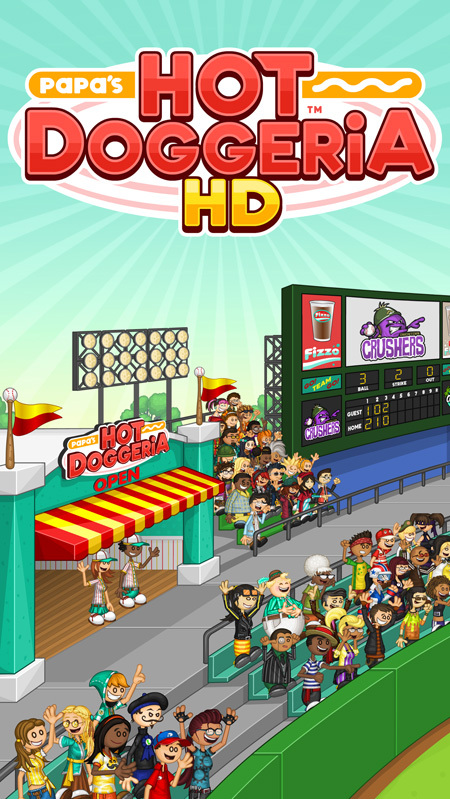 Keep the fans full and happy, cheer on your favorite team, and even take a swing in the Home Run Derby! Celebrate the seasons with new holiday hot dogs! As the seasons change at Griller Stadium, your customers will order their hot dogs with new seasonal ingredients and sides. You'll unlock new buns, drinks, popcorn, sauces, and toppings for each holiday of the year, and your customers will love trying new flavors at the ballgame! And don't worry when the air gets chilly and the baseball season comes to an end -- Griller Stadium also hosts hockey games during the fall and winter for year-round excitement! 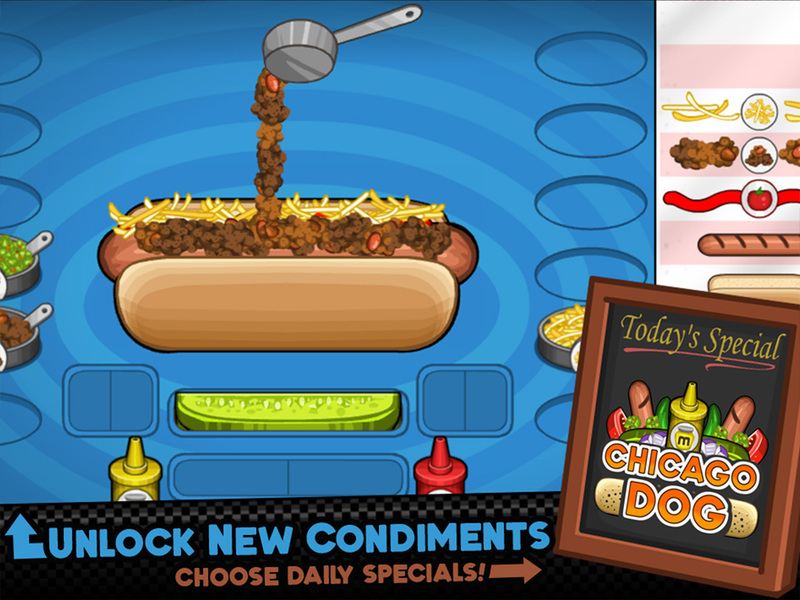 Customers will occasionally bring you unique Special Recipes, which you can serve as the Daily Special at the hot dog stand! Each Special also has a bonus you can earn for serving a prime example of that recipe. When you serve enough Specials to master that recipe, you'll also earn a special prize! 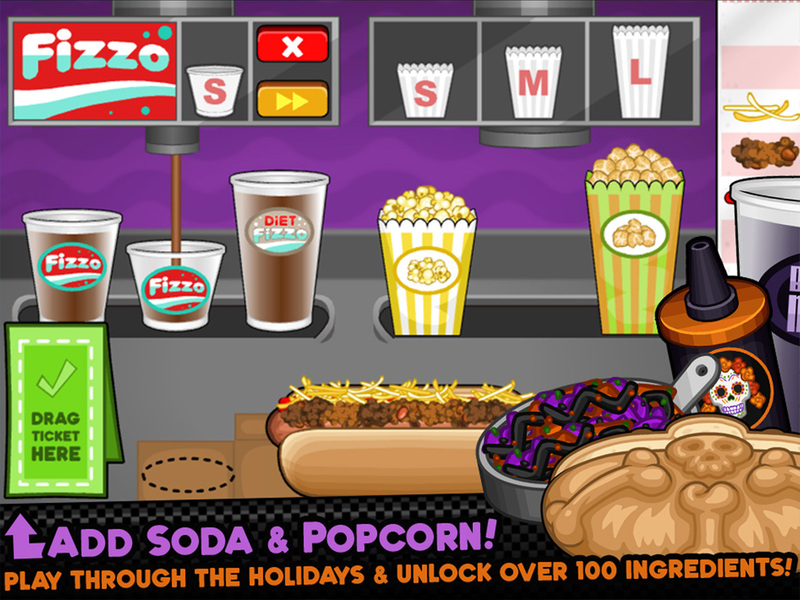 Play as Taylor or Peggy -- or create your own custom character to run the hot dog stand! You can also show off your holiday spirit with a massive variety of holiday outfits and clothing for your workers. 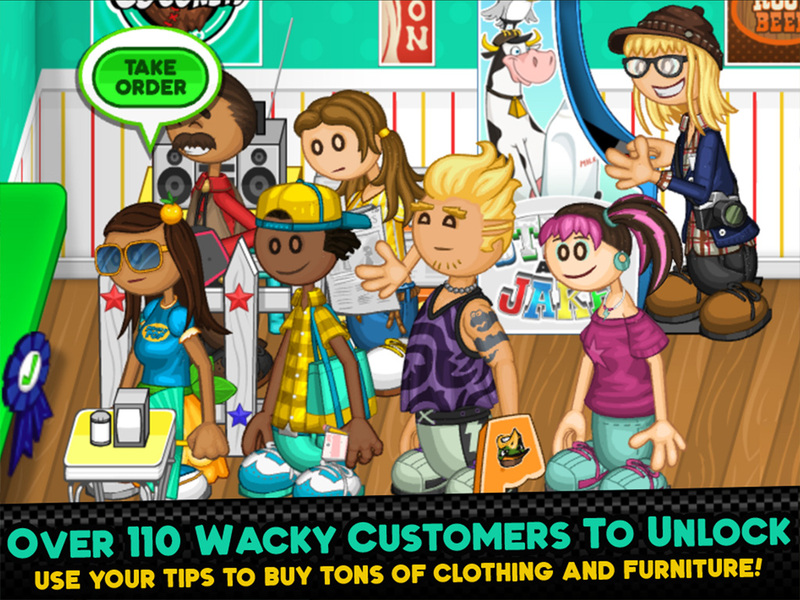 Choose unique color combinations for each item of clothing, and create your own style with millions of combinations! Create a Custom chef and server! 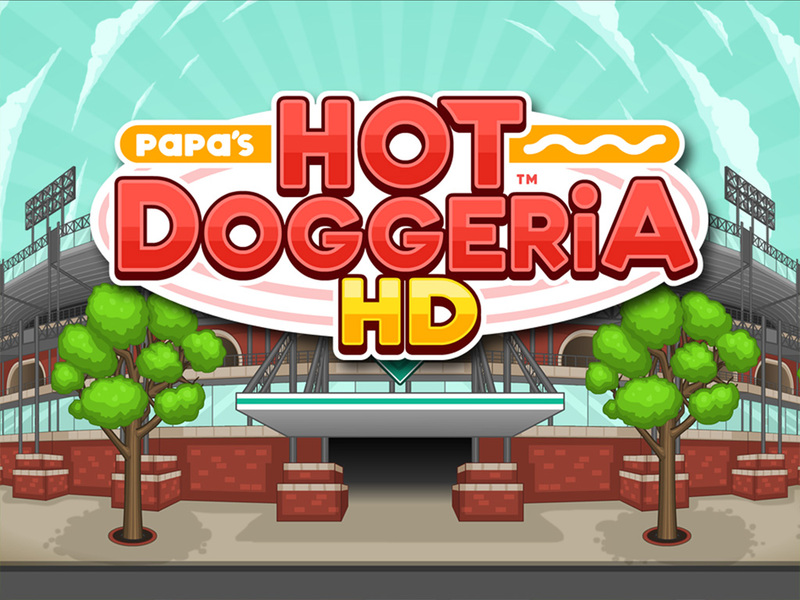 Papa's Hot Doggeria™ HD, game and characters are © 2006-2018 Flipline IDS LLC. All Rights Reserved.